Roly is one of the most recognised brands in the European market and here at Garment Printing we offer a wide range of their garments – including t-shirts, sweatshirts, polo shirts, tracksuits and raincoats. We also have more specialised options such as shirts and trousers as well as offering their full sportswear range. All of which are perfect for customisation! Roly is one of the brands that we recommend to customers who are looking for economically sourced garments at a great price, suitable for any promotion. This is because Roly are a certified social responsible company which means they operate under a triple perspective of economical, social and environmental factors. Whether you’re looking for personalised garments for the gym, to play your favourite sport or to practise your running for that upcoming marathon – Roly is the brand for you. These garments are designed to bring out the best version of yourself whilst still maintaining your personal style and they combine comfort, design and technical characteristics too! To learn more about our full range contact the team today. You can fill out our Quick Quote form or there’s a live chat option at the bottom of this page. If you’d prefer to pick up the phone, you can also call us on 0207 101 9315. We look forward to exceeding your expectations! 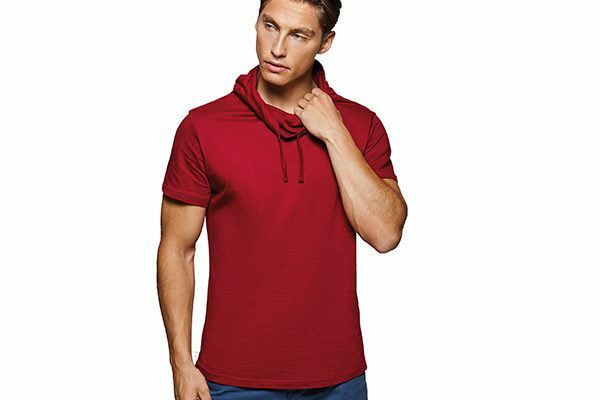 Our range of Roly casual wear offers a great selection of clothes created and designed with temperature in mind to keep you cool in the hottest of days. The range is suitable for all ages ranging from basic baby clothes right through to women’s and men’s polo shirts, tank tops and shirts. All garments can be fully customised through the use of a variety of printing techniques. If you’re not sure about which technique is right for you and your design, then contact our friendly team today! Whatever your needs; express delivery, price, quality or respect for the environment and sustainability, the Roly range will have you covered. Our Roly work wear range is designed with comfort in mind to ensure your working day goes as quickly and easily as possible! Whether you’re working outdoors visiting customers or you’re in the office, this range has something suitable for everyone. Make a good impression and boost your business with not only personalised Roly work wear but also branded promotional merchandise too. Check out some products from this range below. Although our collection of Roly clothing is extensive, if you can’t find what you’re looking for then call our friendly team on 0207 101 9315 and they help make your idea a reality!